There are several evidence enough to believe the New Jazz 80.001 was released prior to New Jazz 808 (although I haven’t seen a copy yet) and Prestige 808 (this can be found at Seya-san’s website). 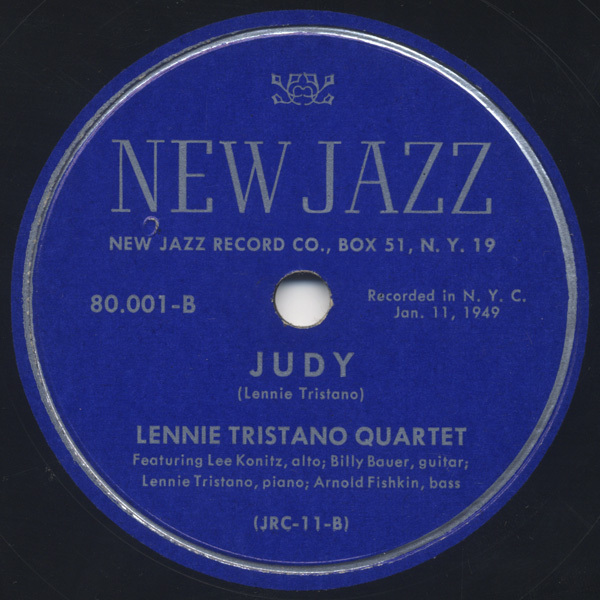 For example, like mentioned in my old article, New Jazz 80.001 is listed along with New Jazz titles (800 to 807) on the Down Beat Magazine, Aug. 12, 1949 issue. The other example I found is Billboard, Jul. 30, 1949 issue. 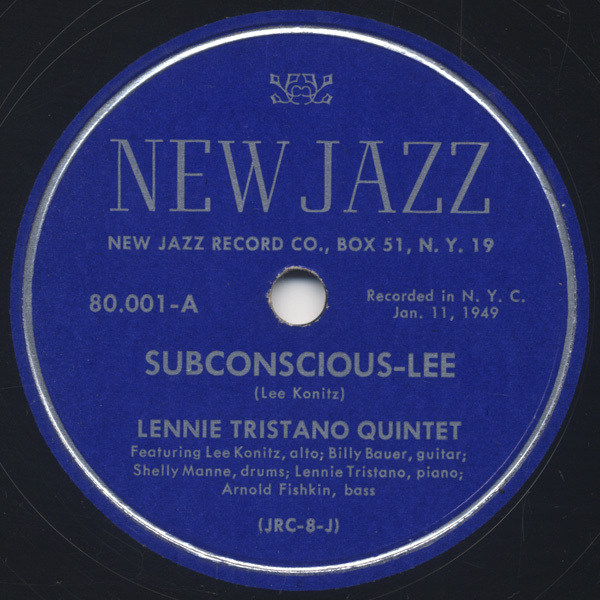 Both sides of this 78 rpm, “Subconscious-Lee” and “Judy”, are the same performances as found on the album “Subconscious-Lee / Lee Konitz” (Prestige PRLP-7004). 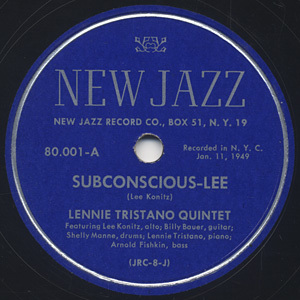 True masterpiece performances by Lennie Tristano and his pupils, sounding cool (not that sultry Bop or the likes) while the themes and the improvisations are so unique with contrapuntal and polytonal melodies. I can say, the more you listen to the Tristano/Konitz/Marsh recordings from this era, the more you find new things. I am just wondering why their great music have not gained much popularity among many Jazz fans – maybe their performances does not sound like what ordinary people think “Jazzy”, no? 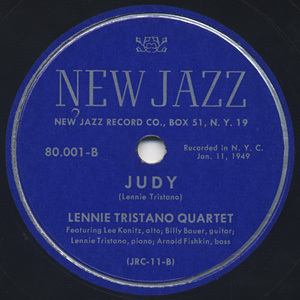 New Jazz 80-001 later reissued as New Jazz 808 and Prestige 808.
and tagged 1949, 78rpm, Billy Bauer, Jazz, Lee Konitz, Lennie Tristano, New Jazz, Prestige, Shelly Manne.